Common sense finds dualities dangerous. The more contradictory dualities are, the more frightening they seem to be. Innocence and evil are a paramount couple of polar opposites, illustrated by the war of angels and demons – the ultimate antagonists in Christianity. This is why the fact that Lucifer is a fallen angel makes him the primary incarnation of evil. His nature is fundamentally dual, therefore, frightful to the utmost degree. In the context of female infancy and, to some extent, prepuberty, collective consciousness has long been possessed by the devils of socio-sexual dogmas manifested in pig tails and frilly socks. Little girls are more synonymous with innocence than little boys, as the latter have been retaining a certain right of being naughty. Someone supposed to be a naive heavenly creature will never turn out to be a sinful agent of Satan, will she? For this very reason, when it comes to horror, the concept of an evil girl seems maximum uncanny. Teddy bear huggers turned monsters take fear to the hellish depths. 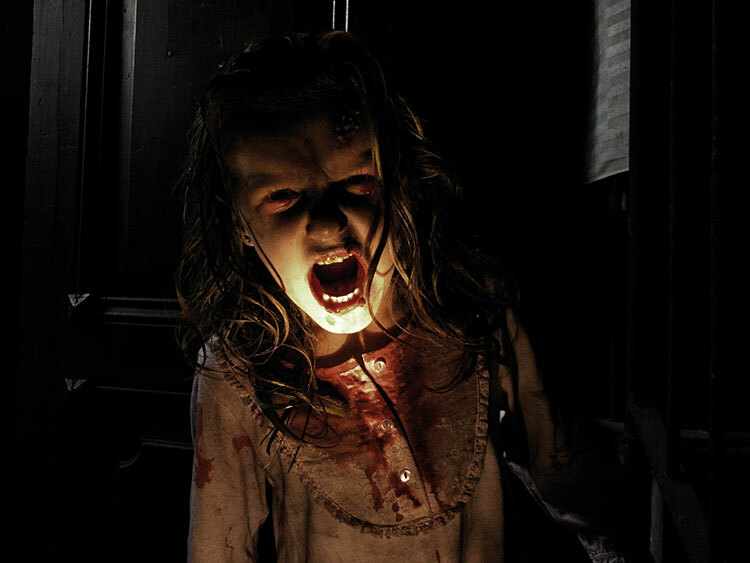 Popular culture arrived at an idea to utilize the fear of pale-faced and stingy-haired girl to its advantage through horror movies. The characters described below are impressive incarnations of unstoppable anger seeking for vengeance, irrational brutality, and animal violence, who lost their innocence, both literally and metaphorically. They cause mayhem, they bring pain, and they reflect the fears, the vices and the sinister side of the adults' world through their tortured or corrupt souls. This pigtailed 'sweetheart' proves that even blonde cherubs can kill. 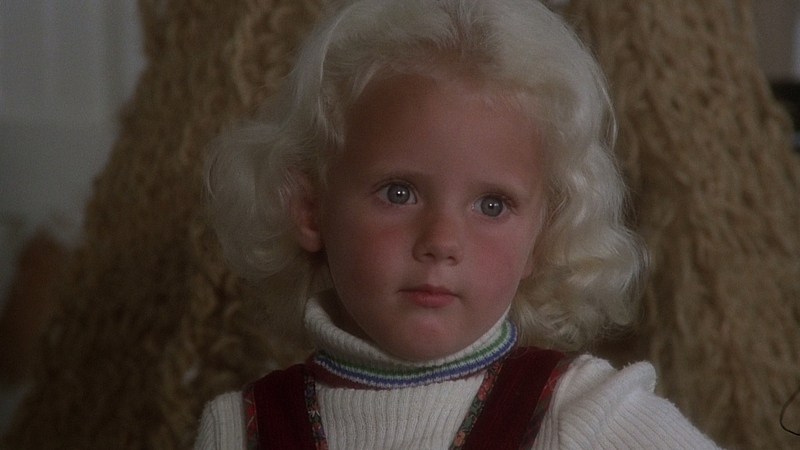 An 8-year-old dimpled maniac, who inherited her sociopathic tendencies from her infamous grandmother, finds murder as something necessary and kills a dog, she got tired of caring for, an elderly woman, a classmate, and a gardener. The cynical serial killer with a gap-toothed smile uses her lovely facade to charm adults while striking fear in the hearts of her peers. It was the dispassionate manner of her crimes without any pangs of conscience that chilled the audience to the marrow in 1956. Everyone found Rhoda's ambiguity clearly monstrous, as it was unfathomable that a giggling kid could act like a sadistic adult. 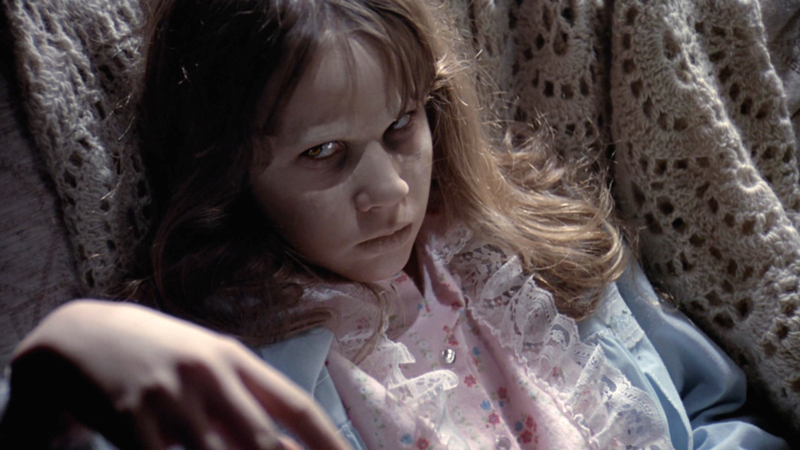 A harmless twelve year old girl, who got possessed by a demon called Pazuzu, is considered a metaphoric representation of male anxieties generated by feminism that gained momentum in the late 1960s. The sacrilegious foul-mouthed character not only made the audience run from the theaters due to the groundbreaking special effects manifested in green projectiles of vomit and Regan's spinning head, but also exemplified subconscious fears about women's disobedience and disgust towards explicit demonstrations of prepubertal female sexuality. Although the two are not obviously evil characters, the scene in which we see their blood-spattered corpses gave nightmares everyone, who watched the movie for the first time. The duo of identical child ghosts roaming the empty halls of Overlook Hotel, inviting little Danny to "play with us forever and ever and ever" and disturbingly staring at us, the viewers, just like two pigtailed Mona Lisas, push the envelope of eerie suspense. As it was revealed later, the casting call for the Grady daughters didn't imply that they had to be twins. 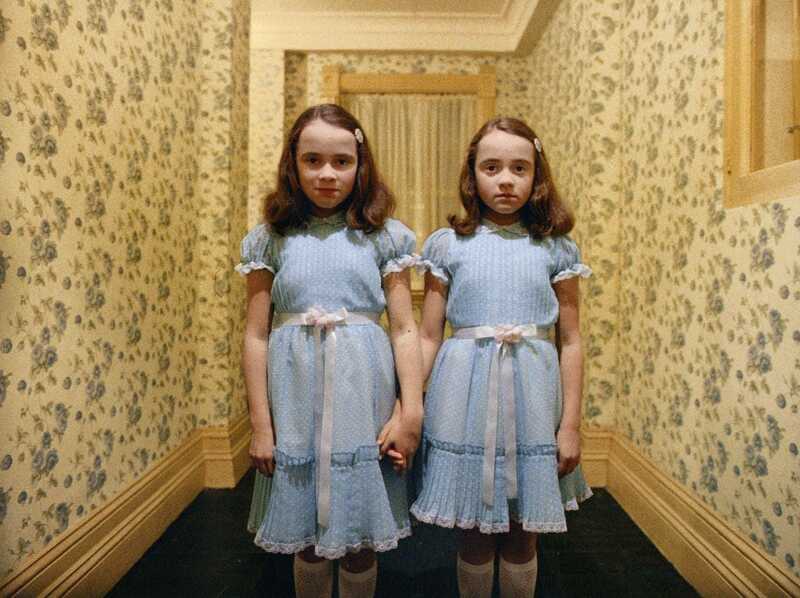 However, Stanley Kubrick realized that a couple of twin ghosts would look a hell of a lot spookier. A child, abandoned at birth and adopted by a family who invited her mysterious mother to their home, is a cuckoo who throws away all eggs that have already been in the nest. The dandelion-haired killer machine has a goal, which is as clear as her blue eyes: to murder four other kids she’s being raised alongside. The blonde maniac uses the most diabolical means to eliminate her victims and to become the only center of attention and love. Starting from the death of her crib mate, she paves her road to exclusiveness with corpses of infants making her adoptive mother believe the deaths are eerie accidents and her adoptive father go crazy over the fact that their middle class happiness is being wrecked by a Satan’s daughter. 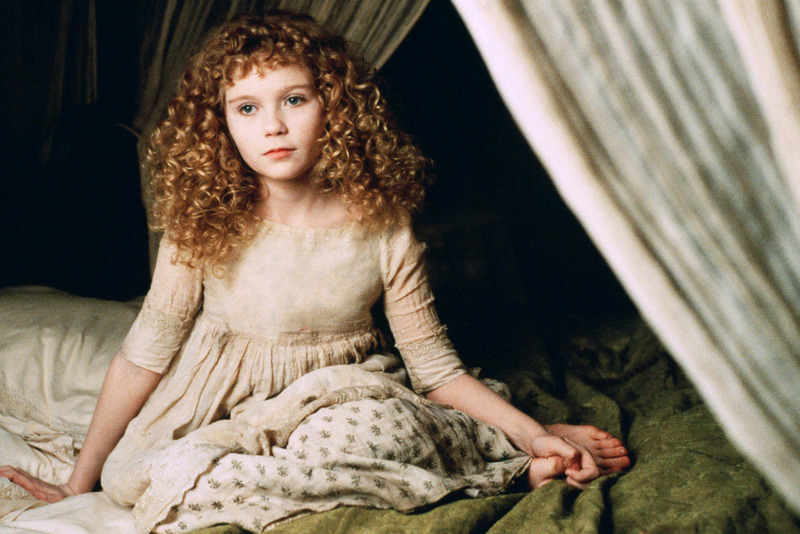 Converted into vampire when she was only five years old, Claudia is an adult trapped in a body of a child. This complicated character couples curiosity with cruelty, intelligence with brutal violence. Her childish appearance is both an advantage and a weakness, as her innocent looks lure human prey, but she is helpless without a more powerful vampire's protection. Golden-haired, blue-eyed and fair-skinned, Claudia continues to look like a painted china doll for more than six decades until she is executed by being exposed to sunlight. An immortal child with no compassion at all, she still evokes sympathy, as she represents an utterly tragic figure who was deprived of human ability to love and being loved. This Hollywood’s interpretation of an extremely popular Japanese concept of vengeful ghost is an ultra creepy answer to Poltergeist’s sweetheart Carol Anne. The raven-haired girl, who created a cursed videotape after her foster mother pushed her down a well, is an archetypal example of ill-fated innocence being intertwined with terror. A pure yet extremely angry victim, she seeks for salvation while terrifying to death anyone unlucky enough to find the tape. The iconic scene, in which she climbs out of a television and appears as pale-faced, stingy-haired and white-robed ghost, is a moment that will put your guts to the test. Believed to be a witch because of her out-of-wedlock birth, the driving force in the Silent Hill video game series and the eponymous movie adaptation was 'purified by fire' by the members of the local religious cult. The girl didn't die and was brought by a police officer to the hospital. Her fear and pain transformed into hate that fueled her telepathic abilities as well as the dark side of her soul manifested in Dark Alessa — the incarnation of evil looking for vengeance upon everyone who made the innocence suffer. 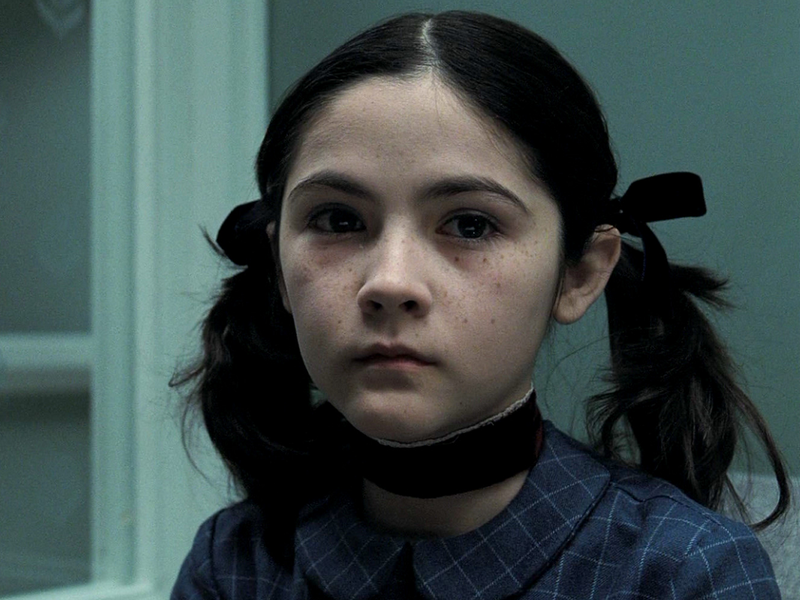 The girl created an alternate reality, in which her doppelganger dragged those who tortured her. Two decades later, Alessa gave birth to a second spiritual double of herself, Sharon, who epitomized the remaining purity of her soul. The three are seen as a wickedly modified version of Holy Trinity with Alessa as the Creator, Dark Alessa as inverted Holy Spirit, and Sharon as the God's Child. The nine-year-old Russian girl named Esther, as an allusion to a Biblical orphan who became the Queen of Persia, technically doesn’t belong to this list for just one reason: she is, in fact, a thirty-three-year-old woman who suffers from a hormonal disorder that causes dwarfism. Nevertheless, the way she uses her infantile appearance to cast a spell upon adults, as well as the movie’s treatment of immature female sexuality as an object of desire, corresponds with our topic. The woman-in-a-body-of-a-girl’s real name is Leena and she was sexually abused by her father until he found a grown-up girlfriend. The heartbroken daughter went berserk, murdered ‘the betrayer’ and his sexual partner, and eventually was put into an asylum. The highly manipulative and intelligent creature managed to escape and started to pretend being a child. The figure of father remained the only form of love she understood. That’s why Leena got obsessed with an idea of seducing adoptive dads. If an act of seduction failed, the brunette psychopath covered her tracks up by killing the adoptive family and burning their house. The Spanish zombie horror masterpiece is a fake documentary, which features a reporter and a cameraman covering a night shift of a local fire station. The news crew accompanies firefighters, who were called to rescue an old lady trapped in her apartment. Consequently, they plunged into a devilish nightmare, as the entire building got infected with a virus turning everyone into blood-thirsty zombie-like creatures. One of the residents is a clearly sick little girl, who her mother believes has tonsillitis. Strangely enough, no one supposes that she might be already infected with the deadly virus. As it turns out later, blind motherly love can trigger a bloody disaster.